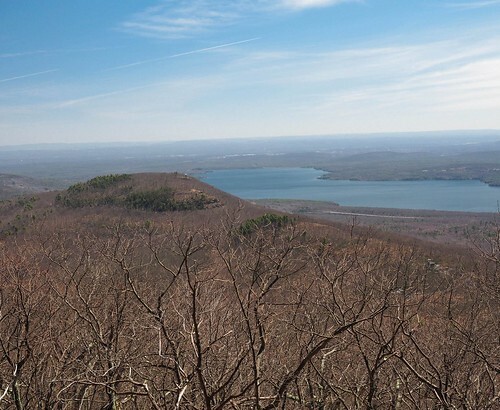 The New York City Department of Environmental Protection (DEP) and the New York State Department of Environmental Conservation (DEC) will host a community hike to the summit of Ticeteneyck Mountain on June 2 to celebrate National Trails Day. Participants will meet at 9:30 a.m. at the Catskill Interpretive Center, located at 5096 Route 28 in Mount Tremper. Hikers will learn about the principles of Leave No Trace, the Catskill Park and Forest Preserve, and Ashokan Reservoir’s role in providing clean drinking water to New York City. Ticeteneyck Mountain is located in Ulster County along the town border of Olive and Woodstock. This moderate hike will comprise a 3.5-mile round trip. The hike follows old woods roads and ridgelines that open to spectacular views of the Catskill Mountains, Shawangunk Mountains and Ashokan Reservoir. Because the event is limited to 15 people, participants must pre-register by clicking here or by visiting DEP’s Facebook page. Participants are also encouraged to bring water, snacks or lunch, and wear proper attire for hiking.